Asthma is an allergic respiratory condition where children cough and wheeze in response to a variety of triggers including viruses, indoor and outdoor allergens, changes in weather and exercise. The following is an explanation of asthma, and its current management. Asthma is a term used to describing episodes of wheeze, cough and shortness of breath that respond to treatment. Small tubes called bronchioles will constrict and produce mucus in response to the various triggers. The majority of the medications work to alleviate either the constriction or the inflammation. The fluid in the airways forms tiny bubbles and breathing results in these bubbles popping and reforming called wheezing. An analogy is a wet sponge. Squeezing a wet sponge is very similar to the sound to a wheeze. Lungs bear many similar physical characteristics of sponges. Wheezing during childhood. When is it asthma ? Wheezing is seen in young infants, but this is not asthma and should not be diagnosed as such. Usually this is bronchiolitis, and is part of a viral respiratory illness. 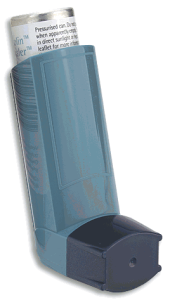 Around the age of 10 to 12 months some infants who wheeze may respond to asthma treatment such as ventolin. Most of these have a similar condition called wheeze associated with respiratory illness. Over time if the wheezing is frequent and there are other allergic diagnosis such as eczema then true childhood asthma is probably the diagnosis. If a child continues to wheeze after 3-4 years of age, and there appears to be episodes of coughing and wheezing which are not due to viruses, then asthma is probably the diagnosis. 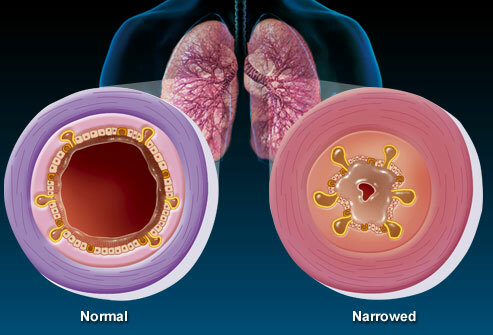 During this period there is still a significant chance that asthma will improve and sometimes disappear. When is asthma more serious/lifelong ? Those children who have had frequent hospitalisations, have to take preventative medications on a daily basis for most of the year, and have other allergic diagnosis such as eczema, and allergic rhinitis will most likely remain asthmatic. How should I assess and treat asthma? Below is a table for assessing and managing asthma. Similar to Jogging – your child will still be comfortable, but the chest is moving more than usual and talking requires pauses for breaths. Give ventolin 4-6 puffs initially every 1-2 hours. If improvement noted move to mild treatment. If deterioation then move to severe treatment and seek urgent medical help Contine to use ventolin frequently. If there is limited response sometimes prednisolone is required to help with the inflammation. Seek medical advice if treatment appears to be not working. Similar to Running – your child is clearly short of breath, talking is difficult and there is considerable effort with each breath. Give 6 puffs of ventolin. This can be given quite frequently and seek medical help. Do not hesitate to call an ambulance if worried and continue to give ventolin. Severe attacks that result in hospitalisation often require preventative treatments. These are safe and effective and lessen the severity and amount of medication required. Guidelines suggest when you are using ventolin more frequently than every 2-3 hours. Assessing your child involves watching their breathing (when not coughing). Undress the top half and if it is clear they are breathing as if they have been exercising, i.e. using extra muscles, having difficultly completing sentences without breathing, and the respiratory rate is more than one per second it is time for an assessment by closest medical professional. The Hospital or GP will assess, and institute aggressive treatment. If your child is clearly quickly deteriorating then it is safest to call an ambulance. What types of asthma are there ? Asthma is divided into three categories based on severity. This helps with deciding the appropriate preventative treatment. Infrequent intermittent asthma – most common type 70% – episodes 6 – 8 weeks apart. There are no interval symptoms and generally no need for preventative treatment. Persistent asthma – only 5-10% of children suffer from persistent asthma. They have symptoms on most days, and often have sleep disturbance and early morning wheeze. This group requires daily preventative treatment, and is also divided into mild, moderate and severe. This classification helps with stepwise mangement of asthma using the appropriate medications. Luckily the last group is rare. Reliever Medication – used in attacks of asthma. Ventolin also called salbutamol is the mainstay of treatment when a child is coughing and wheezing. This dilates bronchioles, lessening the wheeze. 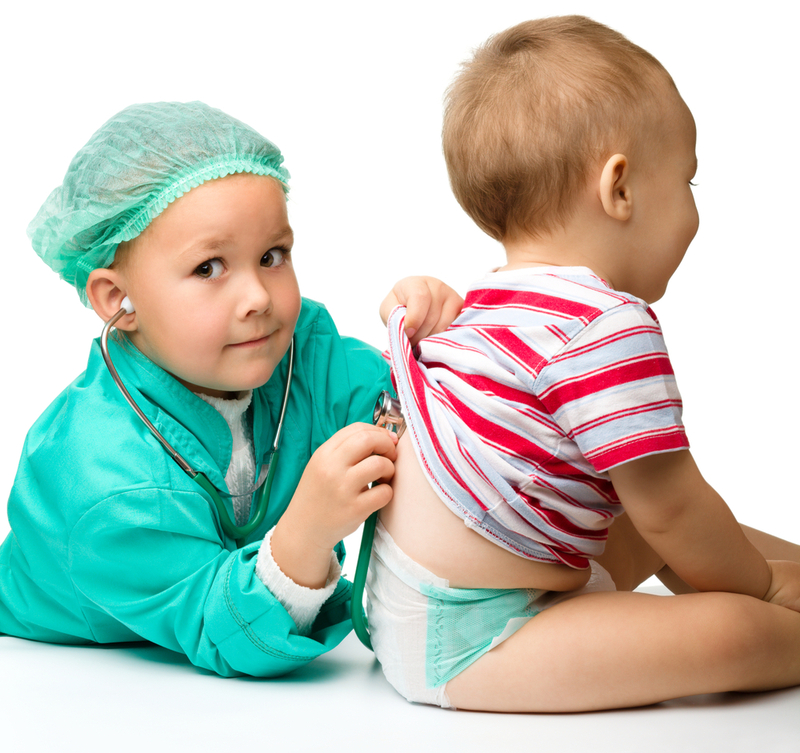 In young children and toddlers it is always given via a spacer and the technique is important. The dosage for mild cough and slight wheeze is 3- 4 puffs every 3 -4 hours. For more significant symptoms 6 puffs are used for those under 6 years of age and this is given every couple of hours. 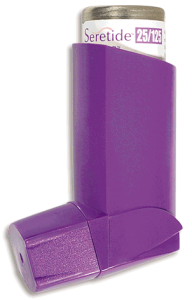 For older children if the asthma is severe then 12 puffs are administered regularly until the doctor is seen. ( A review by a doctor is warranted if you are using ventolin this aggressively.) The side effects of ventolin include slight tremor and racing heart. This settles quickly and is not of any concern. Ventolin has been used for decades and is one of the safest medicines known to mankind. Rescue Medication – Used in conjunction with ventolin during an attack. For some children these attacks require other medication to help with the inflammation. The most effective medication is steroids. These are used to lessen the inflammation in the lungs. They are given when it is clear the child is having difficulty breathing from asthma, and have been shown to lessen the chances of ending up in hospital. Some parents who are experienced will start steroids themselves, but generally it should be used after consultation with a doctor experienced in childhood asthma. Note that steroids have not been found to be as useful for wheezing secondary to viral infection. These medications are taken every day to lessen the frequency and severity of asthma. Has some effect on allergic rhinitis also known as hay fever. Side effects are minimal, but a very small percentage of children have felt to have some behaviourial concerns with singulair. If concerned, then move to alternative preventative such as inhaled steroids. This medication is useful for the frequent intermittent sufferer but is not ‘strong enough’ for the persistent group. 2. Inhaled steroids – nowadays these medications are significantly safer and easier to administer than their predecessors in the 1980s. Fluticasone is the most commonly prescribed and is known as flixotide. It is well tolerated in children and it comes in a variety of doses form 50ug to 250 ug per puff. It is sometimes used in young toddlers and is administered via a spacer and a face mask with a good seal. Very safe when used as directed – naturally parents are concerned about using inhaled steroids but extensive studies have shown that side effects are mild and only seen when children are on more than 800 ug per day, which is rare. The most effective preventative, hence used in children with persistent asthma. The main drawback is that the medication takes a number of days before any improvement in asthma symptoms is noted. This limits it’s effectiveness which is why rescue treatments are required for more serious attacks. 3. Salmeterol – This is marketed as serevent and generally its place is more useful in adult asthma. It is a long acting form of ventolin and its onset is quick. By itself it has limited role in paediatric asthma. The main reason for this is due to something called ‘tachyphylaxis’. This word basically means that constant bombarding of the effective receptors in the lungs with salmeterol will ‘dumb down the bronchiole dilatation response’ temporarily. Specialists prefer children to have quite responsive receptors so that if ordinary ventolin is needed it will be maximally effective. 4. Seretide – Salmeterol and Fluticasone. Combining the long acting ventolin with the fluticasone in an inhaler, this medication should be used for those with persistent asthma who are not responding to higher doses of fluticasone alone. However in practice this is commonly prescribed by doctors probably due to its quicker onset of action than fluticasone alone and the compliance issue regarding preventatives. So what happens is that when asthma appears to be stable and symptoms have abated many parents will either stop preventative inhalers, either because of concerns about safety, or simply being forgetful. Then when asthma hits they quickly increase the preventative treatment. As mentioned the ideal preventative flixotide has a slow (days) onset of action. Adding serevent will mean there will be some immediate benefit to suddenly starting preventative treatment, which may be enough to prevent a significant asthma attack that requires time away from school, or even hospitalisation. This is not ideal due to ‘tachyphylaxis’ mentioned above, but there is some merit behind this strategy. How are the medications given? Apart from Singulair all the medications need reach the lungs via the puffers. These needed to be given using a spacer in older children. A tight fitting mask is needed for the young toddler. The technique can be quite difficult in this age group, and sometimes a ‘firm hold’ is needed to ensure the particles reach the smallest airways. Allow 3 -5 breaths for each puff of aerosol. Thankfully nebulisers are not essential for home asthma. During the 90s a number of studies showed that the spacer and mask is just as effective for mild to moderate asthma exacerbations. 6 puffs of ventolin is equivalent to one paediatric nebule, and 12 puffs are equivalent to an adult dose. However some parents find that nebulisers are less stressful (and vice versa) and still use these on occasion. 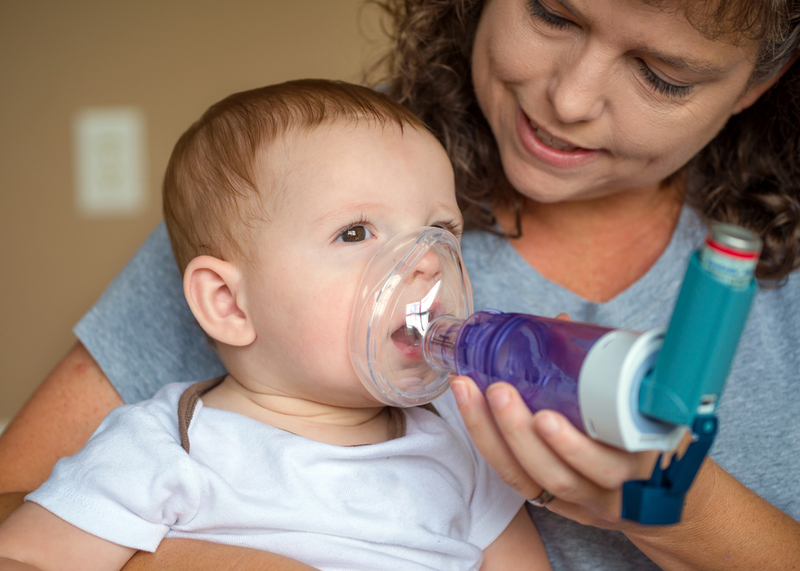 The benefit of nebulisers are more for those children with severe attacks of asthma that require oxygen to be given at the same time, hence they are readily used in doctors’ surgeries and emergency departments. What are management plans ? These are plans to follow depending on which sort of asthma your child has and what medication he is on and how it is delivered. They can be found using the National Asthma Foundation website, and schools and daycares will require them for any child who has a diagnosis of asthma or wheeze associated with respiratory illness. What about the triggers of asthma ? Apart from viruses, the next most common triggers are things called aero-allergens. These tiny particles are inhaled and will trigger an inflammatory response. They can be tested for using either skin prick testing or a blood test called a RAST. The immune system inappropriately reacts to these airborne particles and this reaction leads to narrowing of the airways and inflammation. The most common of these include dust mite and pollens. Dust mite – this is a small microscopic organism that feeds on shedded skin. It is a common trigger of eczema, asthma and allergic rhinitis (hay fever). These children tend to suffer more at night and during periods where dust mite is rampant. For more information click here. Pollens – certain grasses will pollinate at certain times of the year and in response to changes in the atmosphere. The history will usually include allergic rhinitis (hayfever), and daytime symptoms are more common. Thunderstorm asthma is related to the absorption of moisture by pollen grains, which then burst releasing tiny particles into the air. Animal Dander – Cats particularly can cause allergic reactions including asthma. But any furry animal can trigger symptoms and perhaps before buying a pet it is worth trialling before buying just in case. Allergic conjunctivitis, allergic rhinitis, eczema and asthma can all be triggered by animal dander. Other aero-allergens include cigarette smoke, industrial fumes and chemicals. Asthma can be triggered by exercise due to the inhalation of dry cool air which will dehydrate the airways. This will trigger some inflammation and asthma symptoms. Many children with asthma need to take bronchodilator medication such as ventolin prior to training or competing to prevent this from occurring. Preventative medication that has been shown to help with exercise induced asthma is primarily singulair. Any condition in medicine that does not have a ‘cure’ attracts the attention of alternative and fringe self proclaimed healers. Asthma is one of these. Parents frustrated by doctors and the medications and hoping for a simple solution will often be fooled into expensive ‘cures’ that have no benefit. Here are some of the more common claims. Asthma is due to milk ingestion – False. Denying children of dairy will put them at risk of calcium deficiency and a valuable nutrient. There is no evidence that asthma is triggered by milk. Some children will have ‘noisy upper airways’ after ingestion of milk, but this is simply due to the deposit of fats on the back of the throat. Simple as that. Asthma is caused by foods such as gluten – False. There is no evidence of this. Coeliac disease, which is an immunological reaction to gluten is a gastrointestinal disorder and has little to do with airways inflammation. Asthma can be helped with supplements – False. Asthma is a condition that has been extensively studied for many decades throughout the World. If vitamins, minerals or herbs were found to either help or ‘cure’ asthma they would have been embraced by doctors and be incorporated in treatment. Asthma is an aggressive inflammatory condition so there is no logic in ‘boosting the immune system’, which actually cannot be done. Asthma can be helped with Butyeko Breathing – False. This method of breathing has been around for 40 – 50 years and has had a number of studies that have shown no dramatic improvement in childhood asthma. Certainly stabilising breathing, using the nose (which heats up cool air and hence lessens environmental triggers ) and relaxing will benefit to a small degree. However it should not replace standard asthma treatment. The others – Any googling of asthma and alternative treatments will bamboozle parents with claims and anecdotes. Chiropractic treatment, iridology, kinesiology, are but a few examples of those that are making money from parents looking for help. Another recent trend is gut flora analysis, which definitely belongs in the SCAM basket. Antibiotics – It is rare that antibiotics are needed in childhood asthma, as bacterial infections (that need antibiotics) do not trigger asthma attacks. Sometimes they are needed if there is a concurrent middle ear infection. Steroids for cough – Steroids are used in croup and some asthma attacks. They have no effect on ordinary coughs and colds and are virtually ineffective in wheeze associated with viral infection. 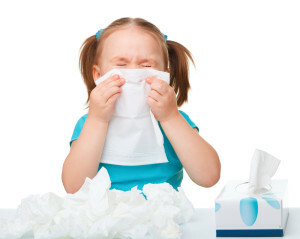 Cough mixtures & anti-histamines – have no benefit in helping cough and wheeze. Not giving enough ventolin – this stems from the old advice to give couple of puffs of ventolin and if things don’t improve then move to nebuliser. The dosage for asthma exacerbations is up to 6 puffs for those under 6, and up to 12 puffs for older children. As mentioned this seems like a lot but is similar dosage to nebulised ventolin.